Re-posted from say more about that with permission from author Alison Wood. Alison Wood is the Site Coordinator of the Tucson Borderlands Young Adult Volunteer Program in Tucson, Arizona. As Site Coordinator, she has frequent conversations with young adults about staying engaged in the hard parts of life. In this blog post, she argues with her inner cynic about climate change and why we continue to act in the face of an overwhelming world. On some level, I don’t really believe change is possible. I like to joke about a theoretical Nihilist Site Coordinator. My job, being a regular site coordinator, is to support and nurture young adults as they explore the world. I help them develop deeper life skills, critical thinking, systemic analysis, and commitment to work for a more just world. (This is why I’m constantly inviting my volunteers to “say more about that” as they process.) But sometimes when days have been long and conversations complicated, I deliriously imagine what the Nihilist Site Coordinator would say. It gets… a little dark. There’s some relief in these flights of fancy, though, too. If everything is meaningless, we don’t have to struggle to hold people accountable to their commitments. If nothing matters, there’s no point to fighting to build connections or community. If everything is meaningless and nothing matters, why try at all? Wouldn’t it be easier just to stop, to give up, to acknowledge that things are wrecked and there’s nothing we can do about it? This last piece is one where I feel particularly futile. I put solar panels on my house, and decreased my meat intake, and shut off the water when I brush my teeth, and still I know that entire industries – including energy, cement manufacturing, and agriculture – drive climate change on a global level. No amount of at-home changes I make will change those huge systems, and it’s impossible to separate myself entirely from those systems. So what does it even matter? This is where the Nihilist Site Coordinator in me meets the Gospel in me. All those years of trundling to church with my pastor father infected me with stories of Jesus, the compassionate homeless preacher who believed everyone was loved and should be treated that way. The friend who laughed and shared food and calmed the storm even when he was irritated at his nap being interrupted. The radical community organizer who taught non-violent resistance against empires of oppression and was killed for it. The dedicated, faith-filled community member who saw his own death coming, and kept working anyway. Who didn’t take the easy way out. Who demands that we do the same. 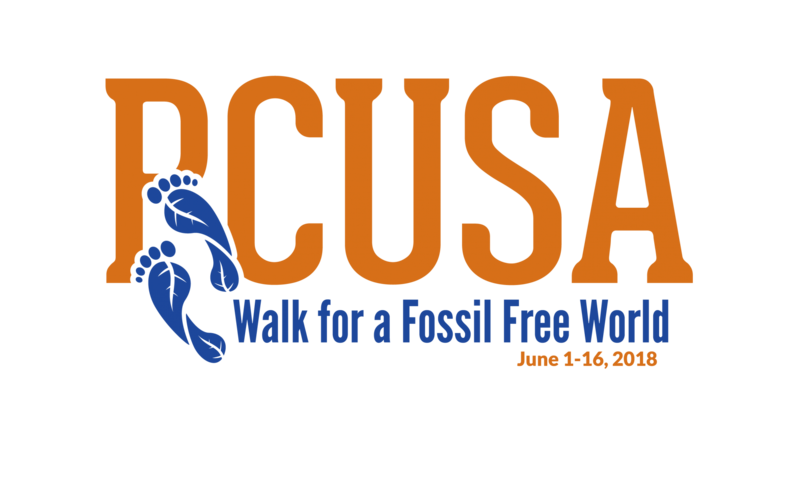 This June, those feet are going to carry me 260 miles, from Louisville KY to St Louis MO, in a community action to (among other things) ask the PCUSA to divest from fossil fuels. For me, this walk is an extreme “fake it till you make it:” I am choosing to participate in a community of resistance because I need it to carry me until I believe enough to carry myself. I want to do something with my body, since deep down, my spirit is a traitor. I hope to learn about the possibility of change from people who believe it, so that I can believe. More about the walk here.